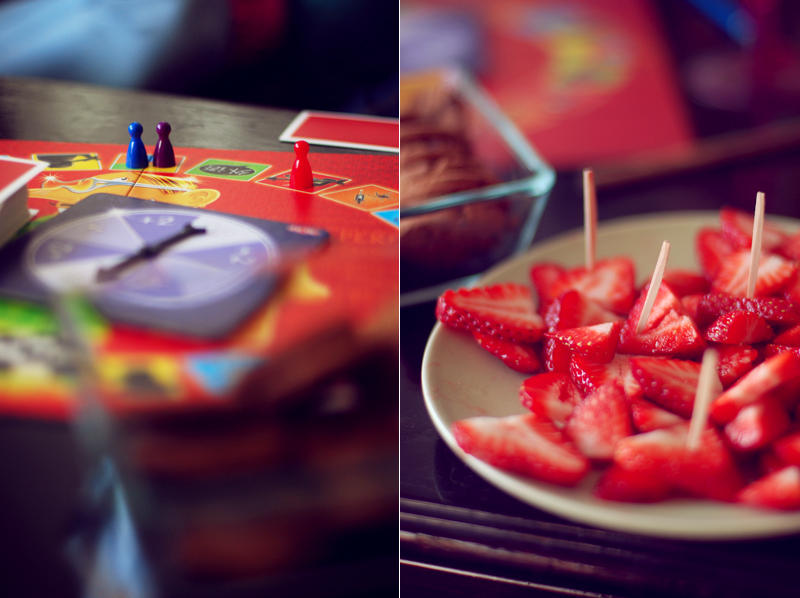 I had some friends over last saturday where we played Rappakalja Extrem and Pictionary. Waaaaay fun! And I also ate my first strawberry this year, delish! I wanted to paint my nails in bright, fun, cheerful and happy colors. And so I did. I just got a huge craving for fresh fruit. Lots and lots of fresh fruit! I just saw this picture on JAK & JIL and all I have to say is, the frendship bracelets are back! And so today I decided to do one my self. And don't worry, they're very easy to do. Here's a great site for different patterns. 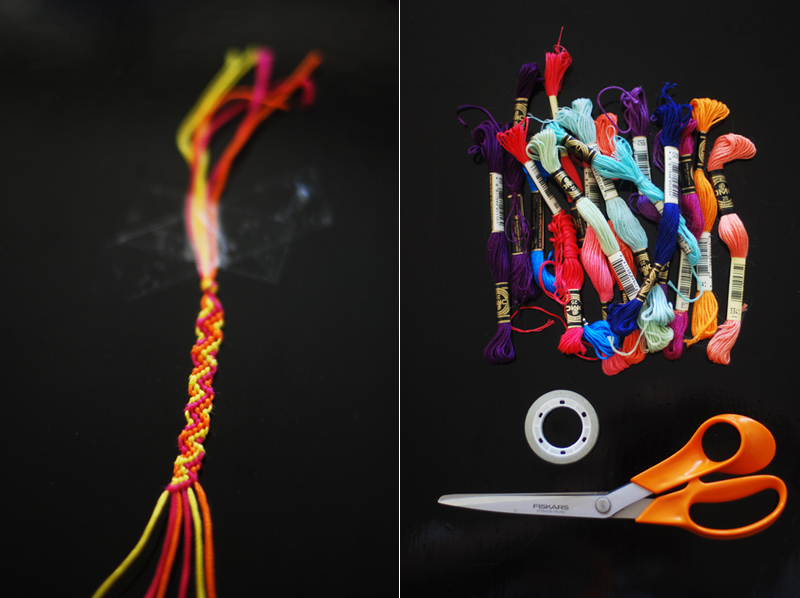 All you need is some colorful threads, tape and a scissors! Oh hello there lover, when can I movie in? 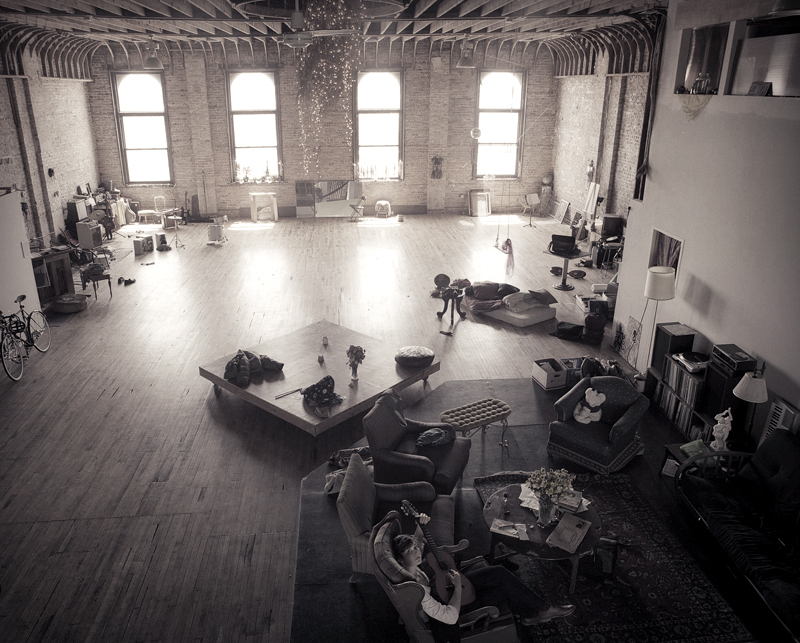 I would love, love, love to live in a big loft/studio and be surounded by artsy stuff. 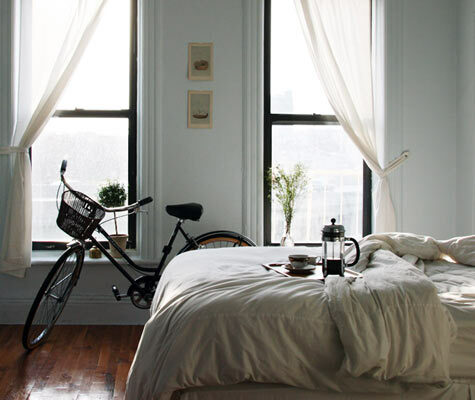 And I would have a huge bed right in the middle of the room. 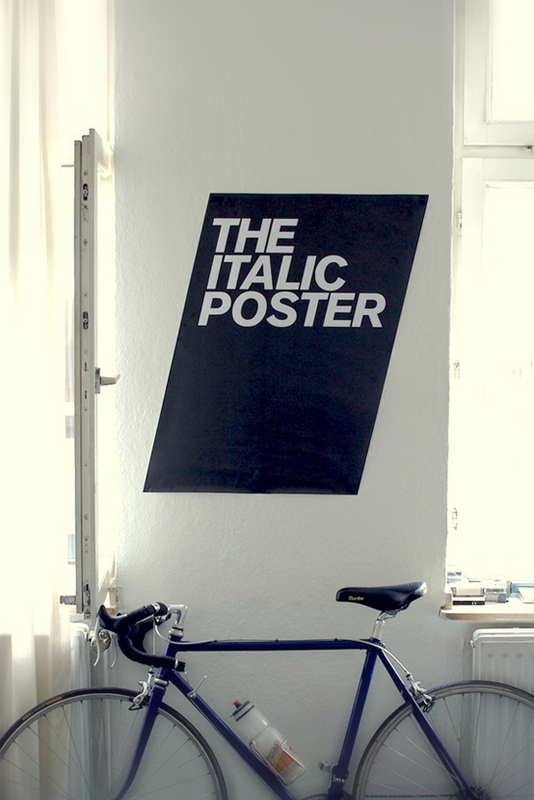 The Italic Poster by Eivind Molvaer made me laugh. This is such an inspiering idea! 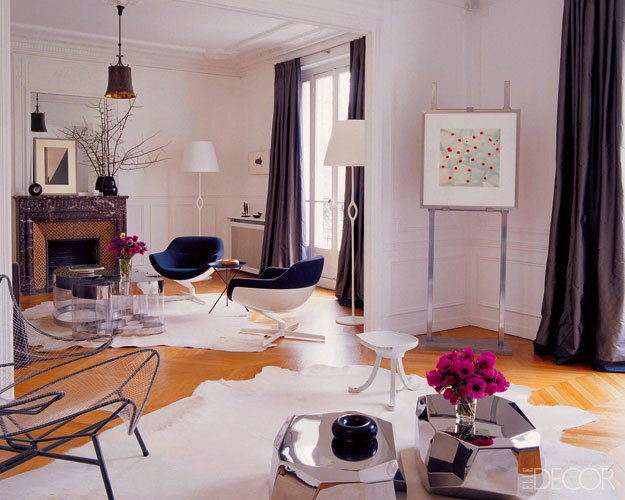 I just sumbled across this absolutely gorgeous Paris apartment on Elle Decor's webpage! So fresh and up-to-date interior with many cool peaces. And what really caught my eye's where those shiny rock tables in front of the sofa. The designer of the amazing Rock Tables is Arik Levy. And what an amazing view they get to wake up to. Uuh! 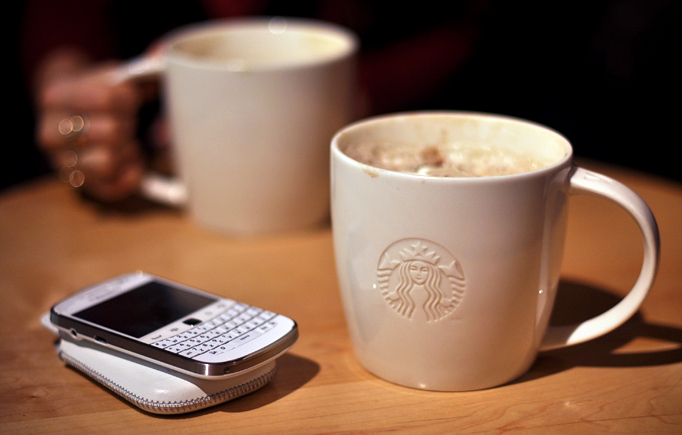 I just saw these starbucks mugs on this fabulous blog and I totally fell in love! I just couldn't resist posting this photo of this cutie. Welcome home! 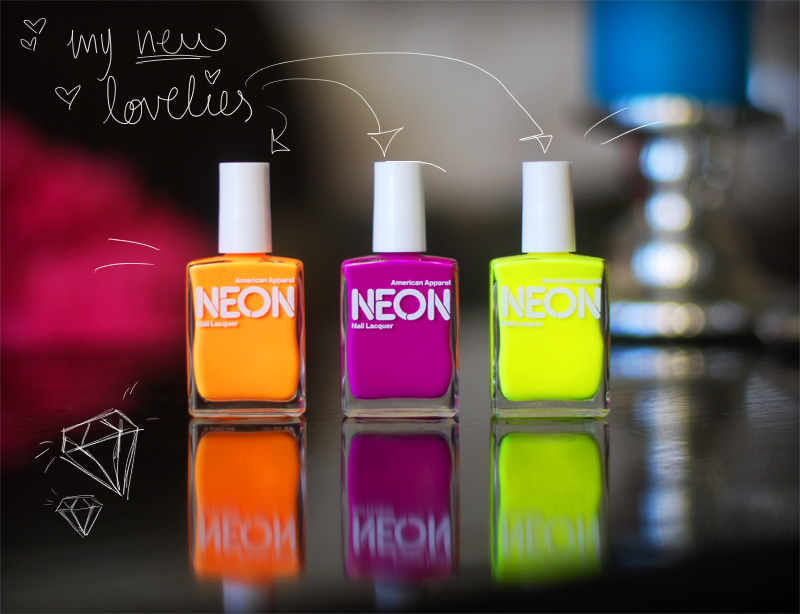 Three new nail polishes from American Apparel. In love. I stumbled across this amazing blog called 'Perfection makes me yawn' a few days ago. 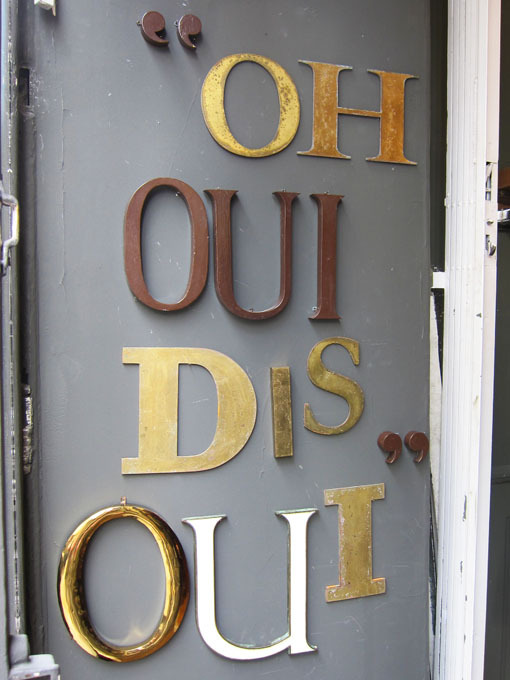 And I saw this blog post, I thought it was so clever I just had to share it! 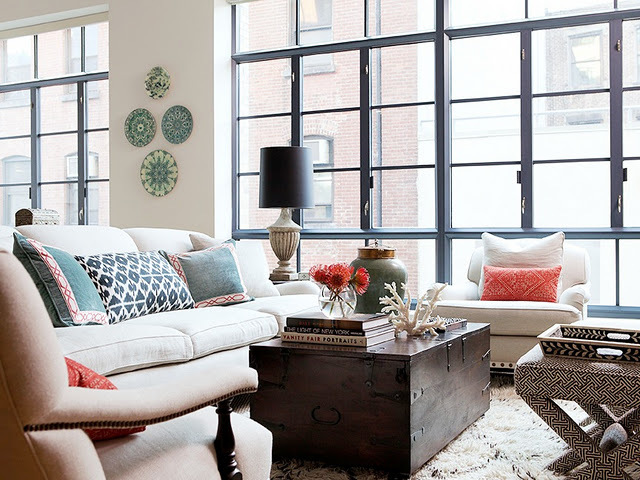 In the blog post they write: "Black window framing has got the same enhancing effect on a room as eyeliner for the eye! 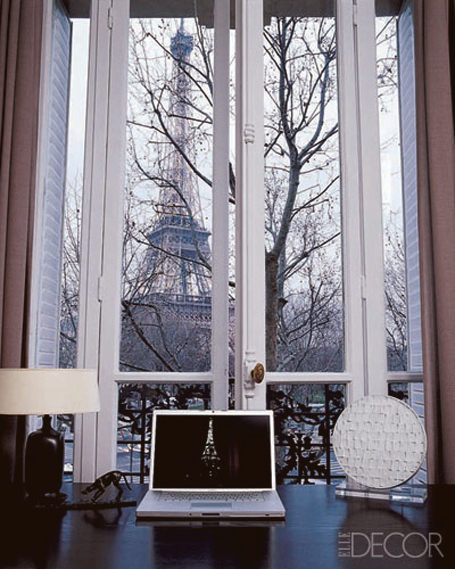 It makes the window pop!" and I sooo agree with them!